Cannabis business owners face unique challenges in recruiting and hiring the right people. This new report, Hire Learning: Best Practices for Hiring in Cannabis, is THE guide for assessing what skills to look for and who to hire for your strongest cannabis business. Get top tips on how to hire the ultimate candidates, train for the strongest teams and manage for business success. Hire Learning: Best Practices for Hiring in Cannabis addresses hiring differences across KEY industry segments: retail, cultivation, grow facilities, extraction, edibles and culinary, accounting and finance, marketing and social media, software and IT, and C-Suite executives. Building the right team in your cannabis business is mission critical for success. Don’t fail when success is at hand. Learn how to protect yourself from disastrous hires in key roles. 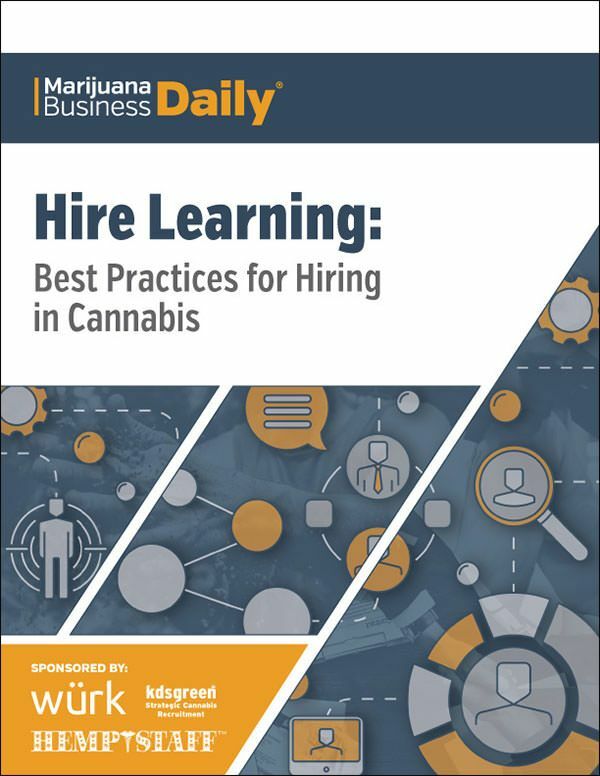 Hire Learning: Best Practices for Hiring in Cannabis is available to download as a FREE gift to MJBizDaily subscribers. Employees are your most valuable business growth asset, don’t wait! Fill out the form below to have your special report emailed to you TODAY.